During their 2018 Semana Santa Brigade, SETAC distributed 50,000 condoms provided by the Jalisco State Council on AIDS Prevention, and offered 155 rapid HIV tests and 155 syphilis tests - all free of charge. Puerto Vallarta, Jalisco, Mexico - As in years past, SETAC, Puerto Vallarta's LGBTQ Community Center, implemented Semana Santa Protegida, a prevention and education strategy with the goal of reducing HIV and other sexually-transmitted infections in the greater Banderas Bay area. 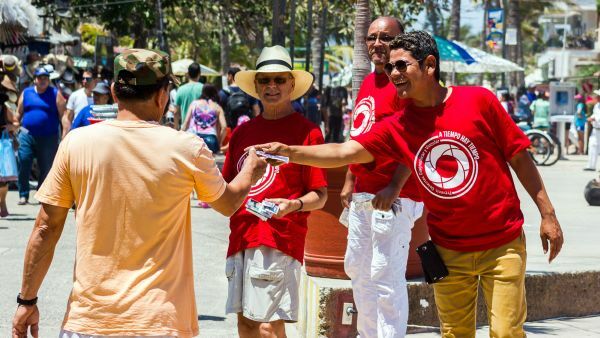 SETAC's 2018 Semana Santa Brigade hit the streets and beaches of Puerto Vallarta from March 29-31 with three specific efforts: an information module at Plaza Lazaro Cardenas in Colonia Emiliano Zapata, condom distribution all along Los Muertos Beach and, in the evenings, at several LGBTQ bars and nightclubs in the city's Romantic Zone. "Semana Santa is a period with considerable tourist-related activity in the city," commented SETAC Director, Paco Arjona. "This provides us with an excellent opportunity to let our community know about our services, create awareness about sexually-transmitted infections, and to fulfill our organization's primary mission: eradicating HIV and other sexually transmitted infections in Jalisco's coastal region and Bahía de Banderas, Nayarit, through education and behavior modification that encourages responsible sexual health decisions." 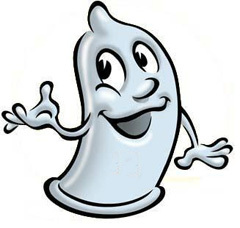 SETAC distributed 50,000 condoms during their Brigade, made available by the Jalisco State Council on AIDS Prevention (COESIDA). "The campaign was very well received, including favorable feed back from tourists that commented on the lack of similar services in their communities." Aside from using Plaza Lazaro Cardenas as a strategic location for condom and sexual health information distribution, SETAC offered 155 rapid HIV tests and 155 syphilis tests, with 4.5 percent and 5.8 percent positive results, respectively. "These cases are being followed-up on locally, and in the case of tourists, they received all the necessary information to connect with agencies in their places of origin," added Arjona. It is important to mention that 17 volunteers generously donated their time to make the Semana Santa Brigade a success, while other individuals made donations that allow SETAC's Community Center to continue offering programs and activities. "We are truly proud of our volunteers," commented Arjona. "But the financial contributions we receive from members of our community are essential to be able to fulfill our mission." SETAC offers a variety of programs and options for those interested in making a contribution. More information is available on their website: setac.com.mx.